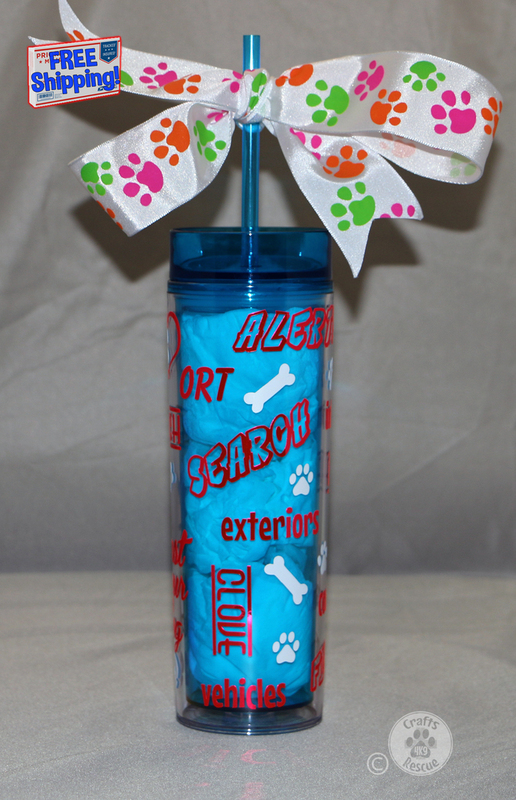 Show your love of canine Nosework with these Skinny Tumblers! 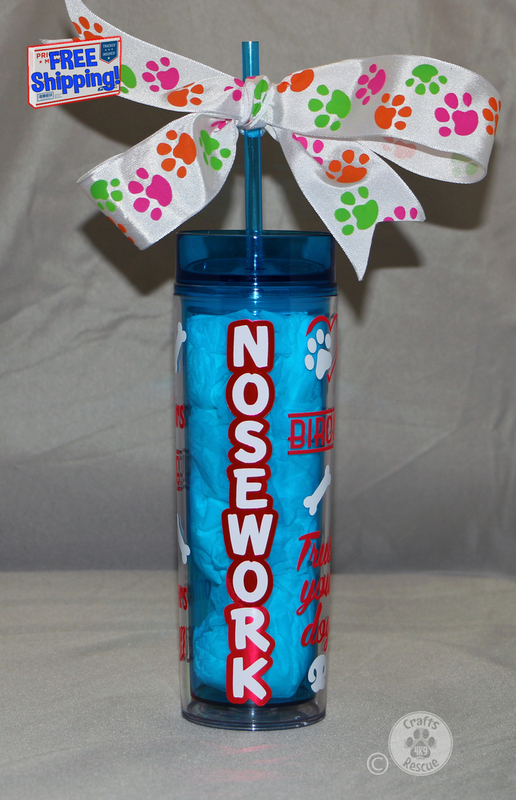 These Nosework themed 16 ounce Skinny Tumblers are double wall, rugged acrylic to keep your beverages the perfect temperature. They are BPA free and come with a push on lid with rubber gasket and color coordinated acrylic straw. Approximately 8.5 inches high and 2.5 inches in diameter, they'll fit most any standard drink holder. 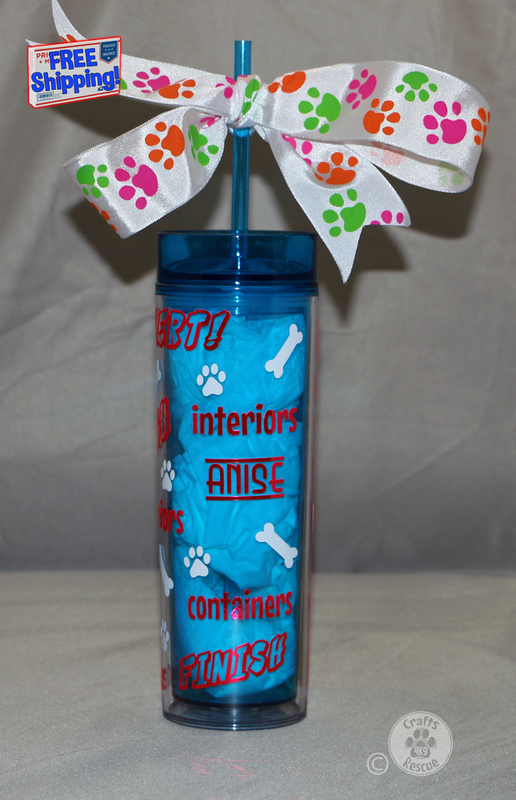 Our Skinny Tumblers are decorated with exterior grade permanent adhesive vinyl to keep them looking good for many years (hand washing is recommended for longer life). NOTE: This listing is for ONE acrylic tumbler (#00119) as shown in the photos. 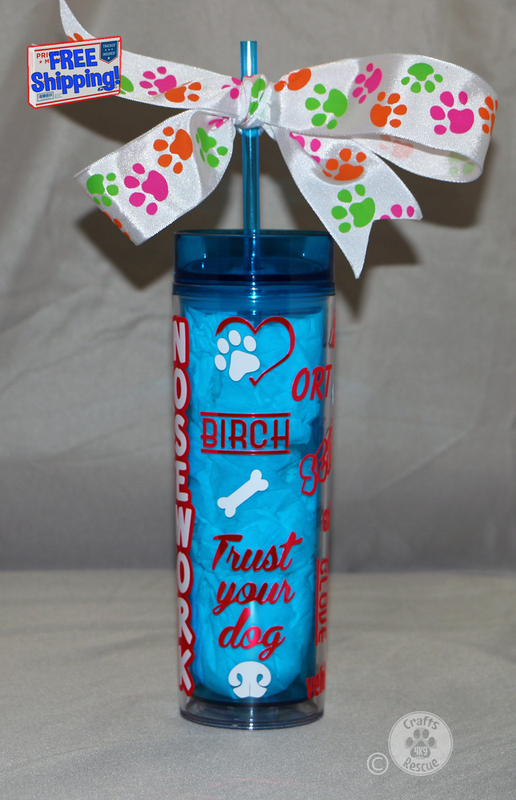 Bows are for display purposes only and are not included with the tumblers; however, our senior product inspector (Border Collie, Norm) is easily bribed and leaving a message saying nice things about him might get you some of the ribbon material (he hasn't yet mastered bow tying).